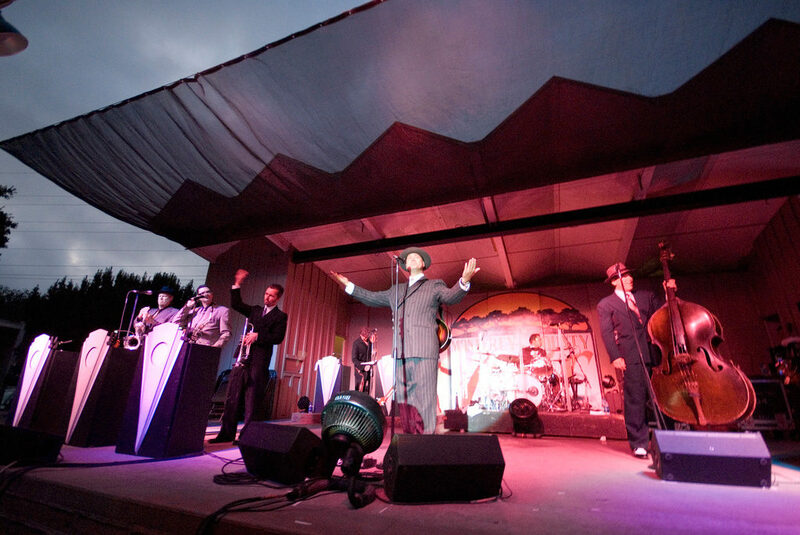 Milford, NH, June 16, 2009 – Earthworks, manufacturer of High Definition Microphones™, announced that Big Bad Voodoo Daddy (BBVD) is continuing to support the release of its latest album,How Big Can You Get? : The Music of Cab Calloway on the road, bringing Earthworks’ High Definition Microphones™ along for the ride. The high-voltage swing outfit, which plays everything from large halls to outdoor venues, relies on the Earthworks PianoMicTM at each of its gigs to capture its unique Honky Tonk tone. How Big Can You Get? : The Music of Cab Calloway was recorded at the legendary Capitol Studios at Hollywood and Vine and is BBVD’s musical tribute to the master of swing, Cab Calloway. The group’s elaborate touring ensemble includes a nine-piece instrument section consisting of horns and percussion; having so many live instruments on stage can present unique challenges to live sound engineers–particularly around instrument bleed and feedback. Since 1994 Big Bad Voodoo Daddy has toured virtually nonstop, performing more than 1,200 concerts on stages around the world. Big Bad Voodoo Daddy appeals to all age groups, and their talent can be seen on the stages of the world’s biggest and best music festivals, night clubs, county fairs, symphony shows, black tie events, and wineries. As testament to their class, stylishness, and versatility, the band has been called upon to perform at some major entertainment events and behind-the-scenes parties including the Grammy awards, Billboard Awards, Espy Awards, and the opening of the Getty Center Museum, the halftime show at the 1999 Super Bowl and Orange Bowl. Additionally, Big Bad Voodoo Daddy has been called on to play private events for President Bush (both of them) and President Clinton. Most recently, BBVD performed during two recent national television performances: The Tonight Show with Jay Leno and Dancing With The Stars.